In this week’s Throwback Thursday’s piece I take you back to 1983, the year that German giants Bayern Munich inspired their kit in the Brazilian national team to break down a streak that had lasted eight years. In 1983, Bayern Munich, had started to build their empire in German football, but not all was perfect in Munich. It was eight years since they had beaten the modest Kaiserslautern FC away from home. The last victory had happen in May 3rd 1975. During those nine years, Bayern Munich had achieved two ties, and the rest were all losses. Some of the losses had been heavy ones like a 5-0 score in 1978. In 1982 after a 2-0 loss, Paul Breitner said in an interview that instead of playing them, Bayern Munich should just send them the points by mail. 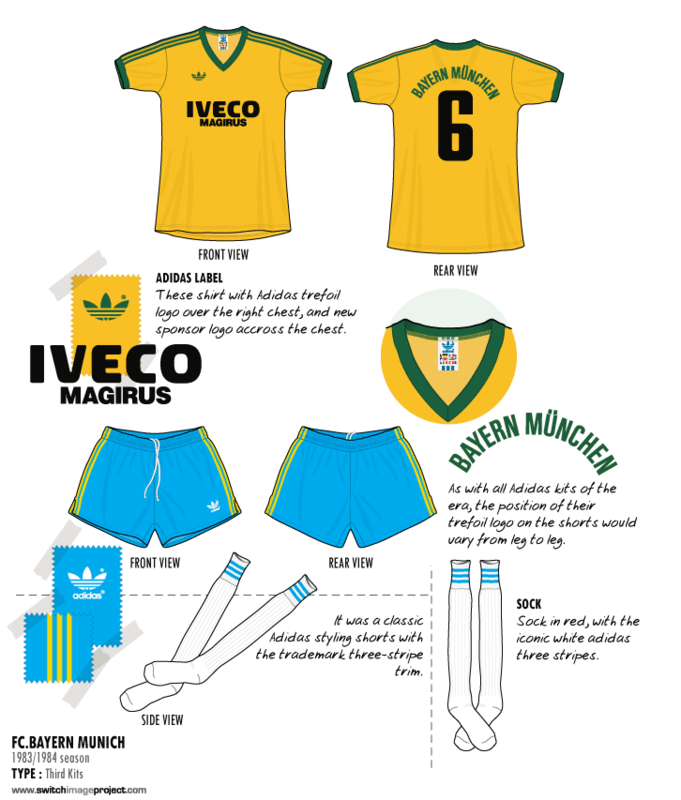 In 1983 the leadership at Bayern Munich spoke to their uniform manufacturer and decide to create a kit to be used only in that game, that was inspired by the kit worn by Brazil’s national team. The manufacturer agreed and the idea was approved. Everything was kept in the secret of the God’s, so that Bayern could surprise their opponents on game day. When the time came to walk on the field on game day, Bayern Munich surprised everybody by walking out in a yellow shirt, blue shorts and white socks. Giving the impression that Brazil was indeed walking on the pitch to play that one game. When asked about it after the game Soren Lerby mentioned that the team only changed to the new kit after the warm up when they were going to walk on the field for the start of the game. This was a way to give them extra confidence for this match. Luck or superstition, nobody knows, what we do know is that Bayern Munich won the game 1-0 with a goal from Klaus Augenthaler. To add to the mysticism of the day, Bayern Munich legendary goalkeeper, Jean-Marie Pfaff saved a penalty for his team in the match, preserving the 1-0 win. Bayern Munich would use a similar kit in the next two seasons, only in sporadic occasions. Recently during a look back at some of the ugliest kits in Bundesliga history this 1983 kit was voted as one of the ugliest, according to newspaper Süddeutsche. The last time Bayern Munich worn a yellow kit was in 1990, since then they have stayed away from wearing any Brazilian colors.